For Hali’s birthday this year, we decided on an exclusive couple stay at a private hot spring resort in Laguna, called The Cliffhouse Laguna. 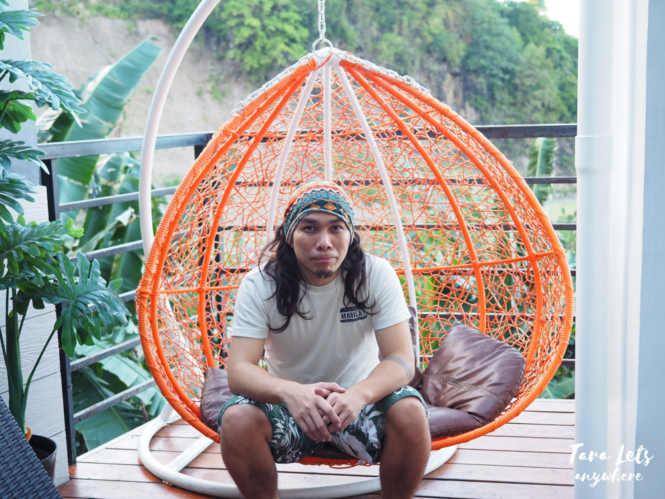 (Sometime ago, we spent his special day backpacking in Palawan. Is it a sign that we’re becoming tito and tita?) Here we’re going to show you around this place and tell you what to expect. 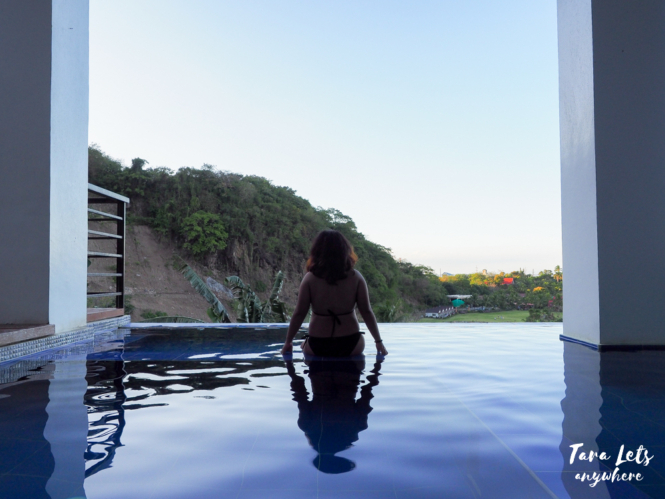 The Cliffhouse Laguna is a boutique resort/private hot spring resort located in the foothills of Mount Makiling in Los Banos, Laguna. 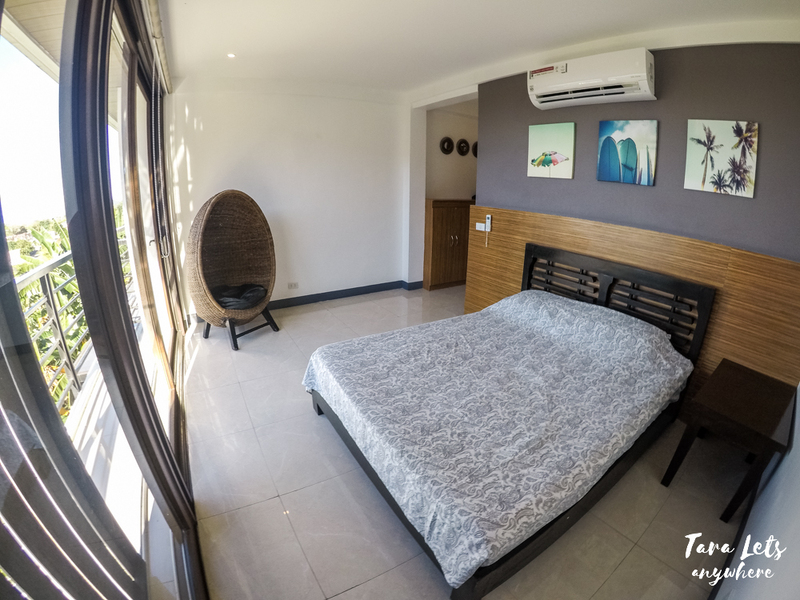 Unlike the usual busy resorts of Pansol, the resort can be found inside a subdivision, which ensures privacy and quiet. 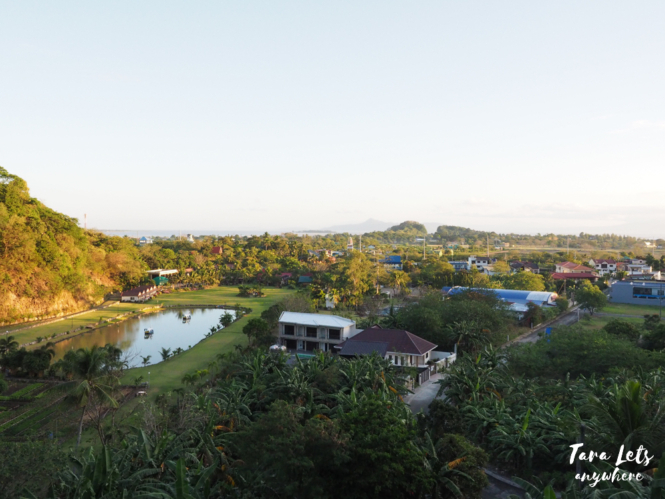 The facility is built in a cliff so it has great views of Laguna de Bay and it has nice complete amenities. 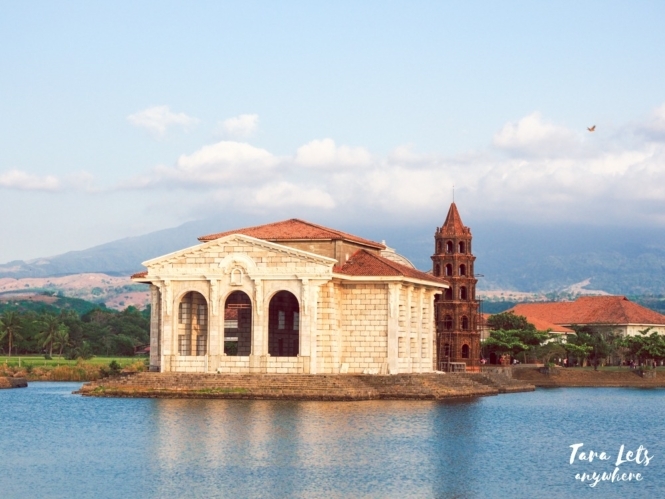 It’s an ideal option for family get-together, team buildings or short vacations. 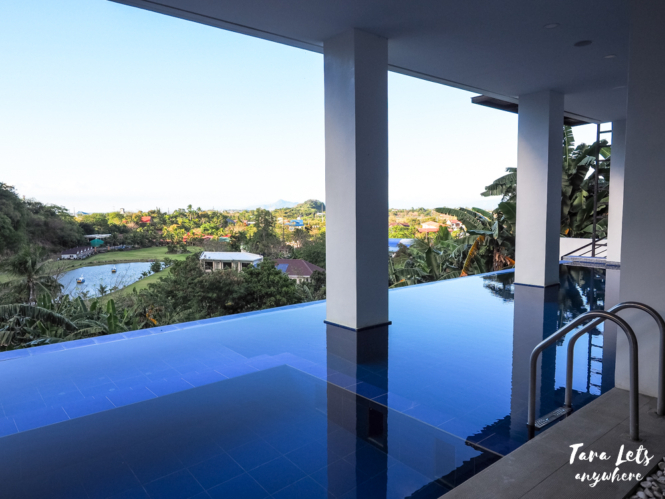 Perhaps The Cliffhouse’s biggest asset is this semi-indoor infinity pool, which comes with a section for kids and a jacuzzi. The water in the pool is natural hot spring water. The view from here is nice. Also, it’s super instagrammable! I’m going to admit that one of the reasons we chose The Cliffhouse Laguna is because of this feature. 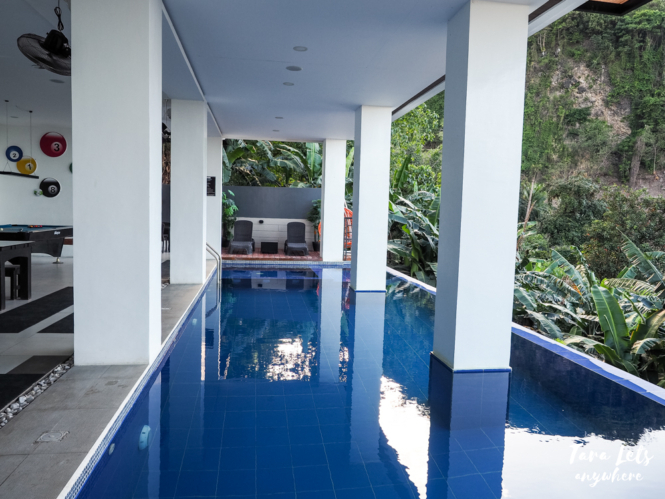 The pool gently slopes downward (from 4 feet to 5 feet), which is perfect for adults since it’s not too shallow or too deep. 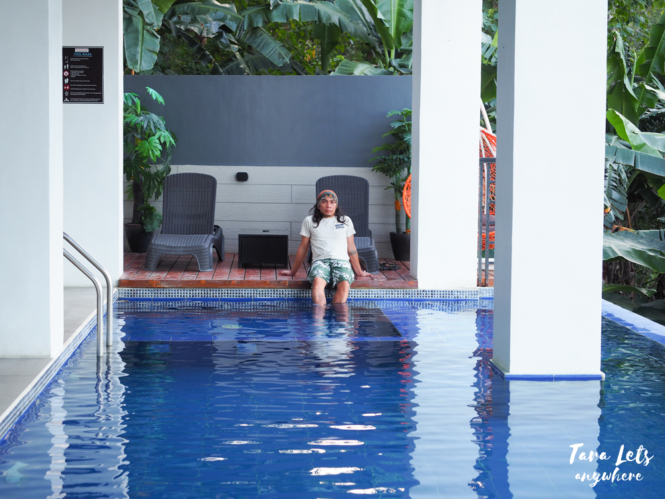 We find the warm water so soothing to the muscles that we’d have wanted to stay soaked for hours. 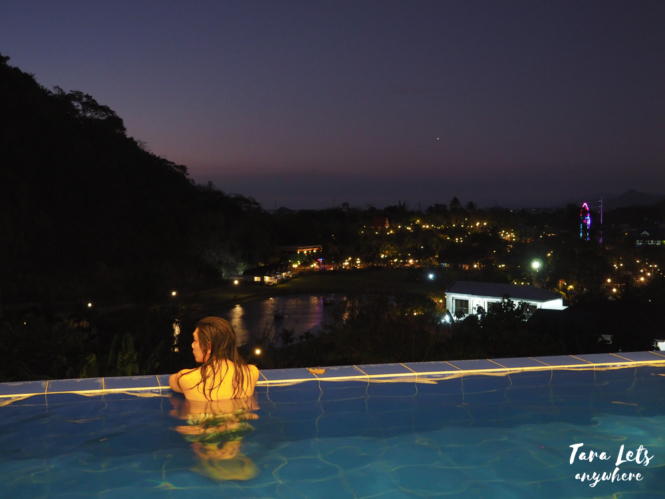 The infinity pool also looks great at night, but mind you, the air becomes a little chilly. There are a total of 5 rooms in The Cliffhouse Laguna. 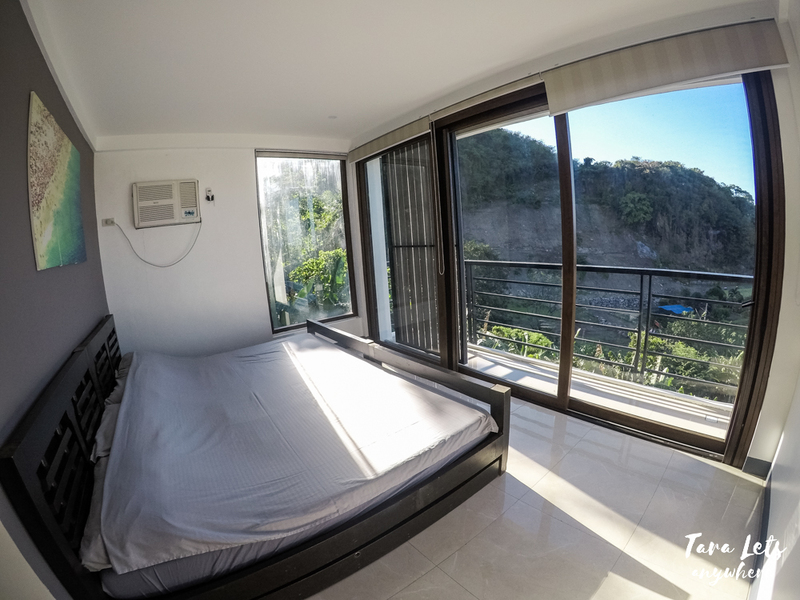 Rooms 2-4 have floor-to-ceiling glass walls and balconies with a great view outside. Rooms 3 and 4 have their own bathrooms, while the rest have a shared bathroom. Each bathroom has cold/hot shower. There is another bathroom with 2 showers in the pool area. Each room is also decorated a little differently. 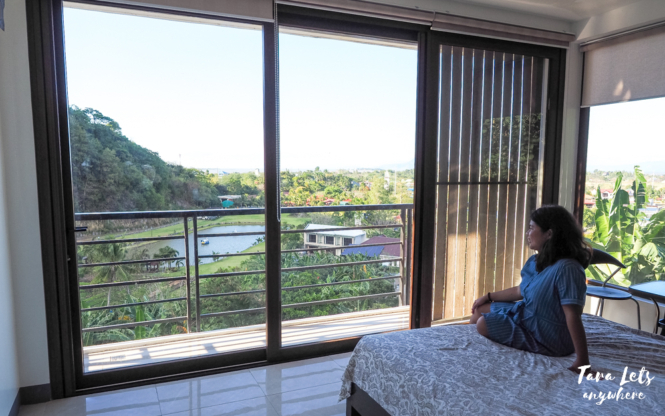 Room with balcony and overlooking view of Laguna de Bay. We stayed in Room 3, which has this wicker seat that Hali likes. I love that it’s clean, comfortable and that we feel a bit soshal with the glass walls. At night, we could see the city lights from our room. Here’s a full list of amenities in The Cliffhouse Laguna. Cliffhouse signage / photo spot. 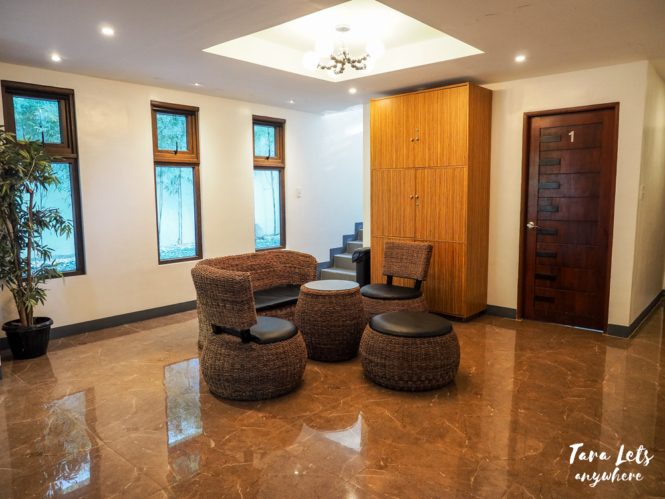 As you can see, The Cliffhouse Laguna has complete amenities which makes it perfect for family get-togethers. There are also other activities offered aside from the hot spring pool, which is always welcome especially for large groups of guests. 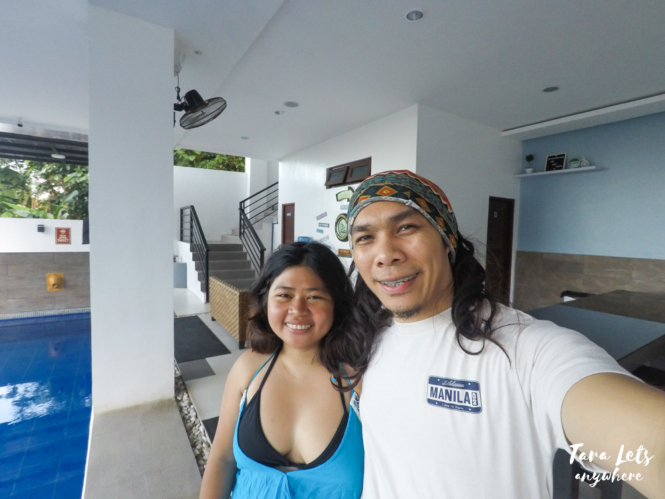 We were booked for an overnight stay at The Cliffhouse Laguna. As said above, it was Hali’s birthday. I requested if we could arrive in the late afternoon instead of 6PM and the management approved of it. I think there aren’t any guests before us. 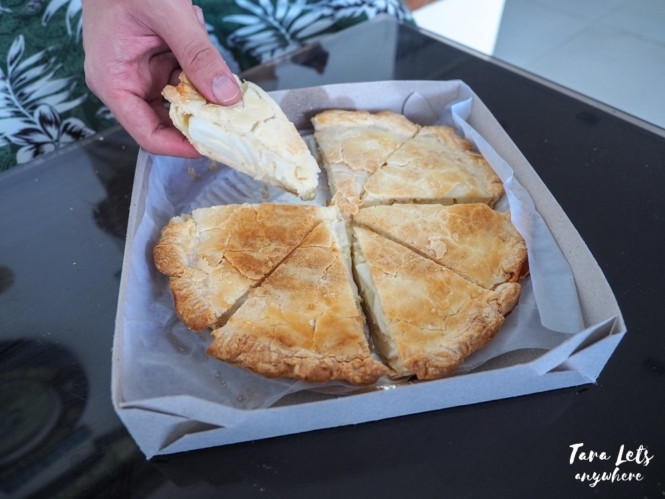 After we arrived, we had a merienda of coffee and buko pie, which is of course a must-have dessert in Laguna. We were greeted with coffee and buko pie upon arrival. We then spent hours taking photos, swimming and relaxing in the jacuzzi. Lounge beds by the pool. Jacuzzi! 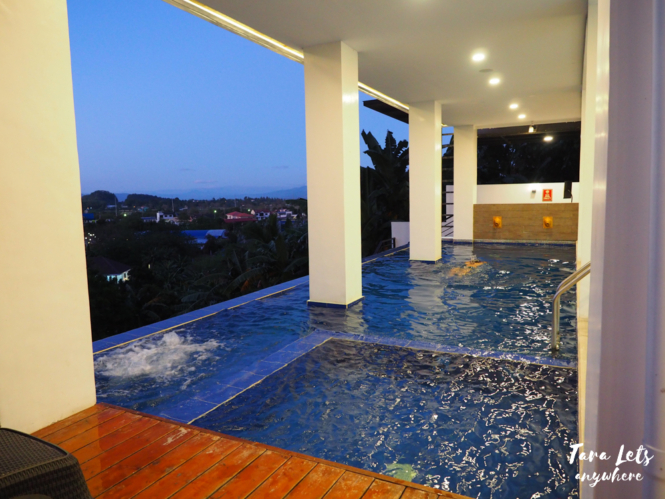 Guests get 3 hours use of jacuzzi. The pool has warm natural spring water. Hali was actually supposed to bring his work here, but he ate so much and the ambiance was so relaxing that we opted to retire early to bed. The Cliffhouse Laguna at night. 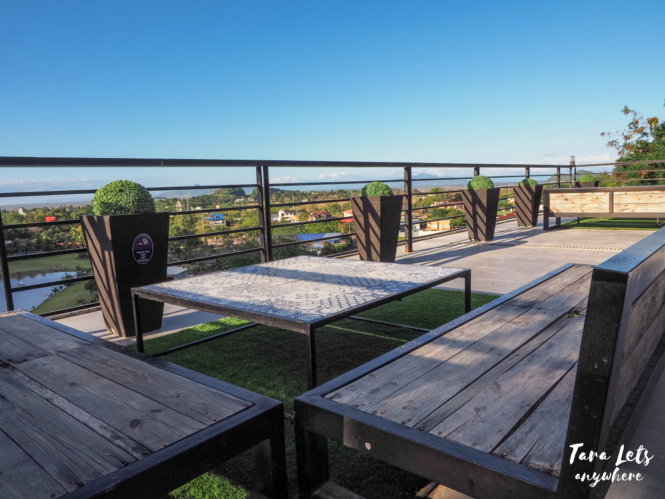 As the morning came, I waited in the roofdeck to see where the sunrise would be and witnessed the view changed colors from a sleepy dusk to a golden glow. After we had breakfast, we hit off the road. Morning view from the roof deck. Pool is bathed with a golden glow. Overall, we loved that we spent his special day here. 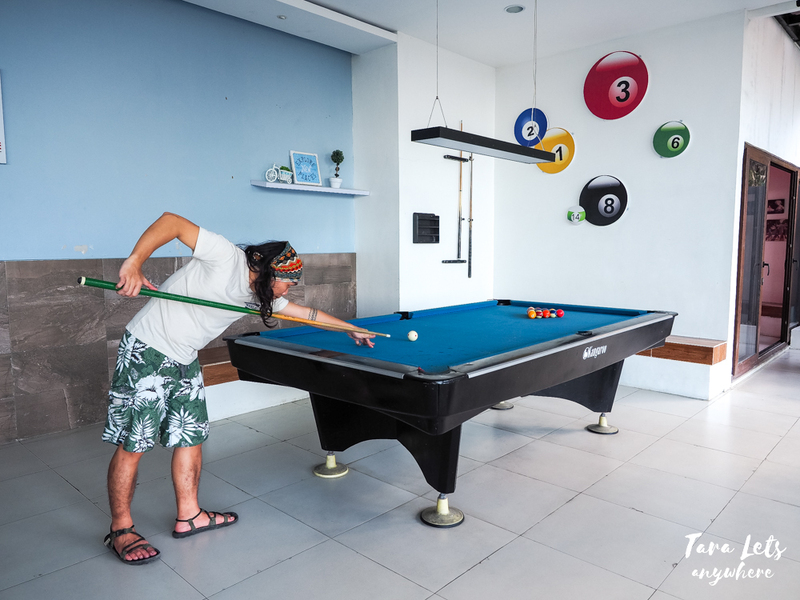 We were both relaxed and at the same time joyous for having enjoyed the facilities — especially the infinity pool, the spacious lounge area with the billiards table and KTV room and the comfortable bedroom upstairs. 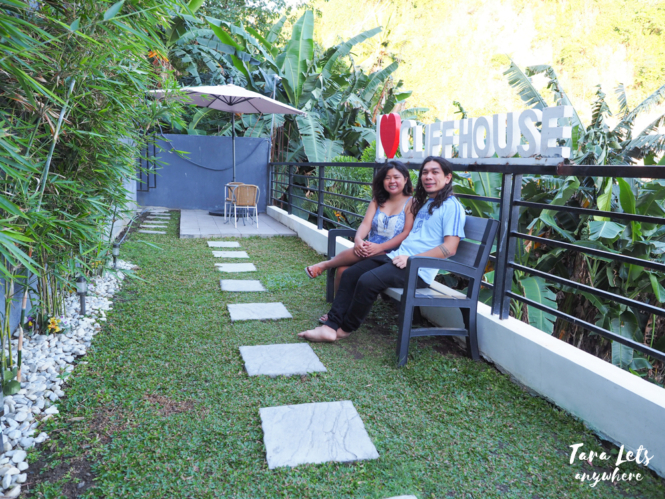 Aside from these, we also find the owner and staff of The Cliffhouse Laguna friendly and accommodating. Ms. Gen actually dropped by to ask us how we were, and the caretakers were helpful and easy to call whenever we had needs. 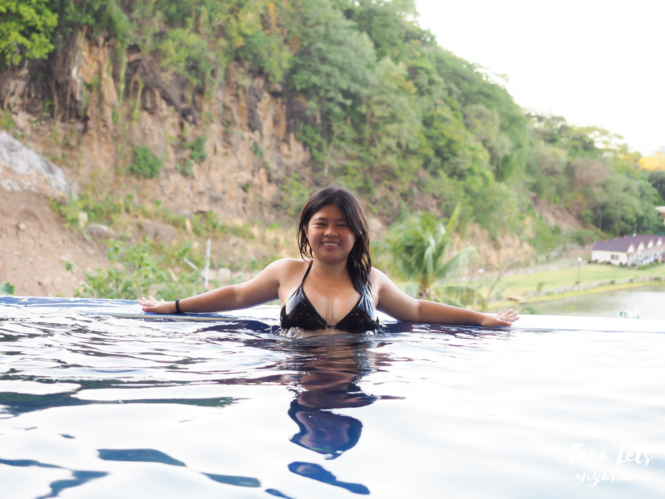 In short: Relaxing hot spring pool + nice amenities + great views of Laguna de Bay + friendly owner & staff = a very pleasing experience. This is one of the best private hot spring resorts we’ve stayed at. 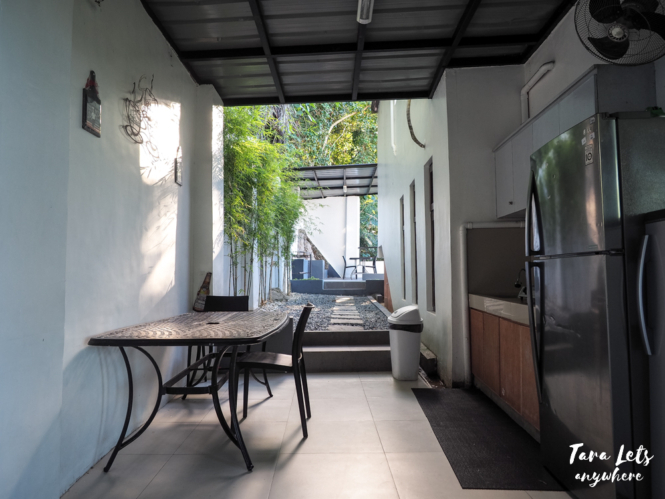 We highly recommend it to others who want to have a private quiet vacation as well. From Buendia or Cubao, ride a bus to Sta. Cruz, Laguna. Get off at Springdale Subdivision. Rent a trike OR walk for about 10 minutes to the resort. We drove from Alabang, and from there it’s just an hour to get to the resort. 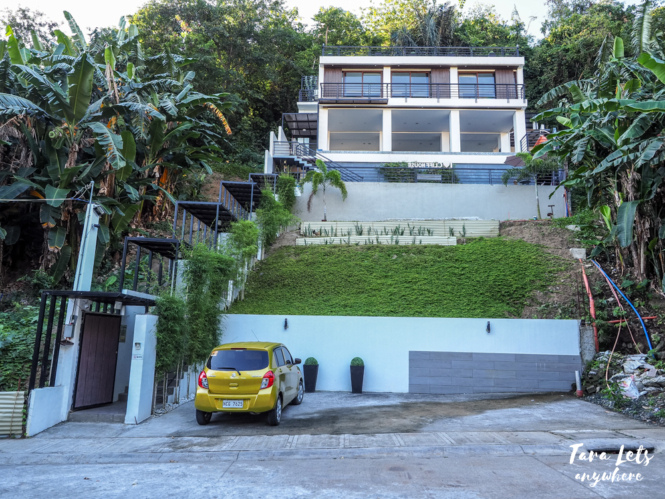 As its name implies, The Cliffhouse Laguna is situated in a cliff and you need to take 5 flights of stairs to get to the lounge/pool area. You might want to consider this if you’re bringing with you senior citizens. Staff can assist with bringing baggage. You need to bring your own towels & toiletries. You also need to bring your own utensils and charcoal, if you plan to grill. There’s a small sari-sari store across the resort and a 7-11 outside the subdivision. The resort has free wifi. The whole resort is good for 20-25 people. Make sure to check their booking page for the updated rates and follow them in Facebook for sale alerts. 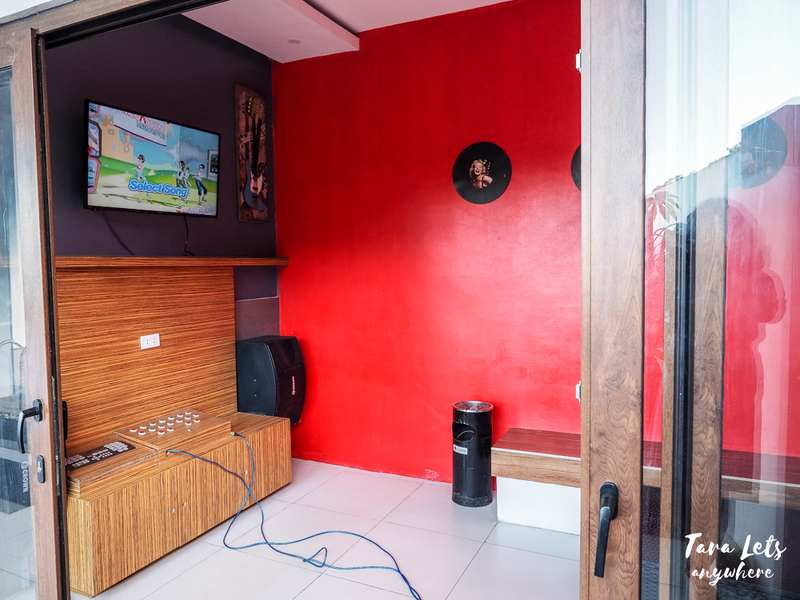 Tip: Sign up in Airbnb using our referral link and get P1600 initial credits. 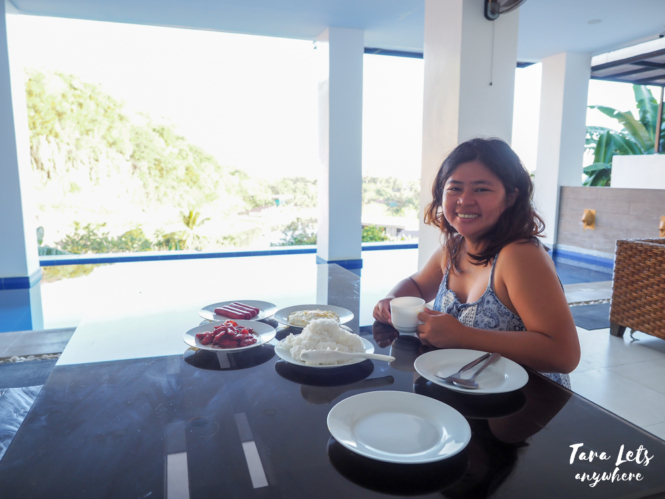 Disclaimer: Thank you The Cliffhouse Laguna for hosting us! Thanks especially to Ms. Gen and the staff for making sure that we’re comfortable. As always, thoughts and opinions are my own. Have you been to The Cliffhouse Laguna? What’s your experience?